Transform your living room into a backyard adventure with the Anytime Playground activity mat. 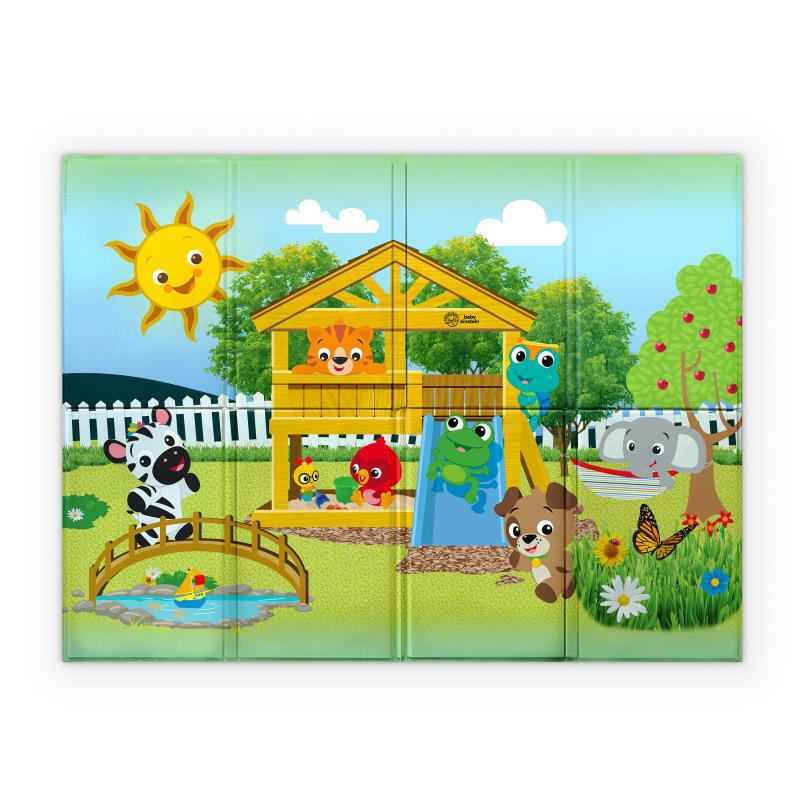 Cheerful Baby Einstein characters smile back at baby as he begins to sit, play and crawl on the extra large baby mat. With a detailed and colorful scene surrounding your baby, there’ll be plenty to see and explore during tummy time. Will your little one spot the butterflies in the garden, or the sailboat under the bridge? With an enchanting world unfolded just for your baby, he has so much to discover during play time. The Anytime playmat can go almost anywhere, too. Quickly fold it for simple storage and travel, and clean it with just a wipe. Dimension (in) 47" x 35" x .5"